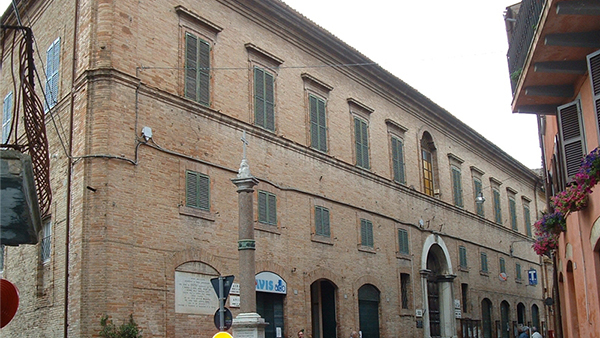 Annexed to the Church of San Francesco, it was built in the 18th century as a Conventual Franciscan Friars monastery. Today it is home to the municipal library which conserves valuable incunabula as well as a rare edition of Manzoni’s “The Betrothed” dating back to 1827. The historic archive contains interesting parchments dating back to the 13th century.The Civic art gallery contains a beautiful painting by Francesco Perrier.